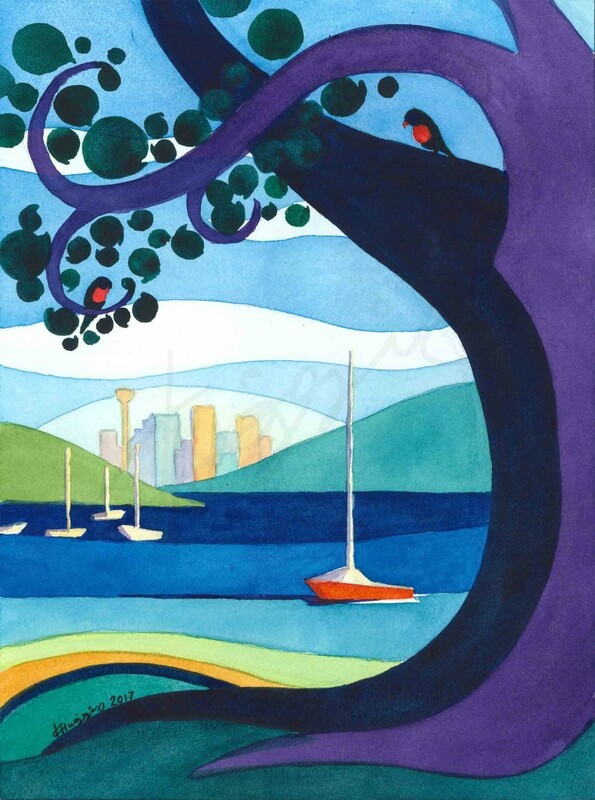 A very graphic watercolour painting showing a view from Watson’s Bay out across the Sydney Harbour. A dark purple tree looms in the foreground and encircles the Sydney city skyline with its branches, complete with suggested lorikeet shapes. Painted on acid-free cold-press watercolour paper with Winsor and Newton paints.